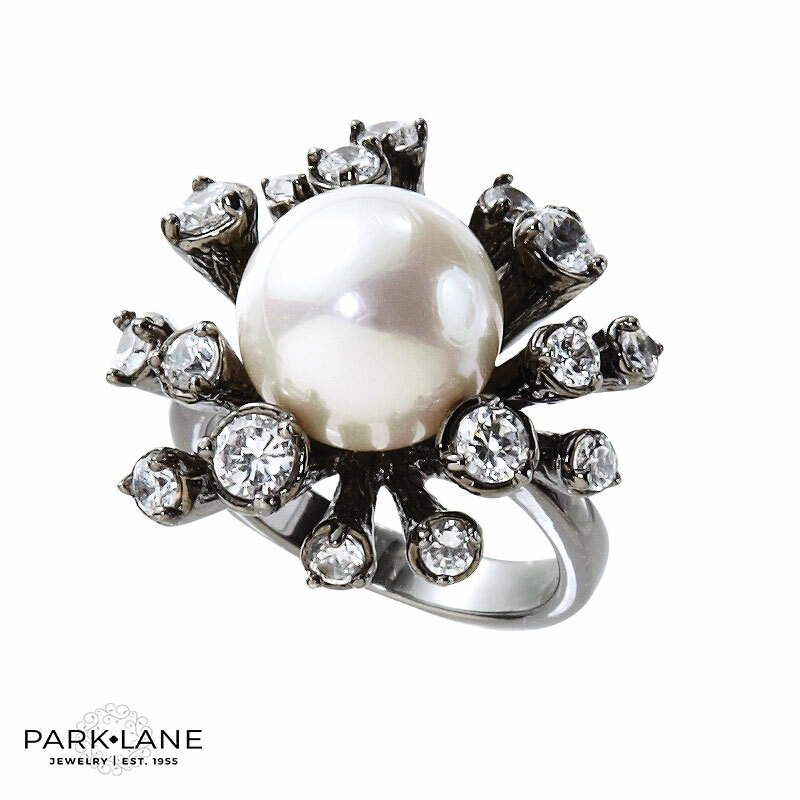 A hematite star burst, tipped with radiant crystal drops, Enchanted ring showcases a large luminous white pearl nestled in its center. Enchanting! Ring available in sizes 5 to 10. Complements: pearl jewelry. Hematite jewelry. Wear with: Dynasty necklace, Estate bracelet. First Lady and/or Jolie ensemble.